I made this years ago and forgot about it. It is a 14" Hawk made from a 2" x 10" piece of truck spring. The edge is hardened and the grip is walnut. It is sharp and is a pretty good chopper but it is heavy. Pretty danged cool! Reminds me a bit of the old French styled 'hawk. Pretty slick QC. I was thinking re-purposed golf club when I first looked at it. Hell of a head knocker for sure. Wolfy, I was going to try to draw the head out to be more like a "Francesca" throwing hawk but did not have quite enough metal to do it. And my arm got really tired pounding on spring steel for several hours. Someday I may even sand and polish it better. FRANKly, I think you did a great job on illustrating its roots! That's pretty neat. I like it. Love the lines on it. 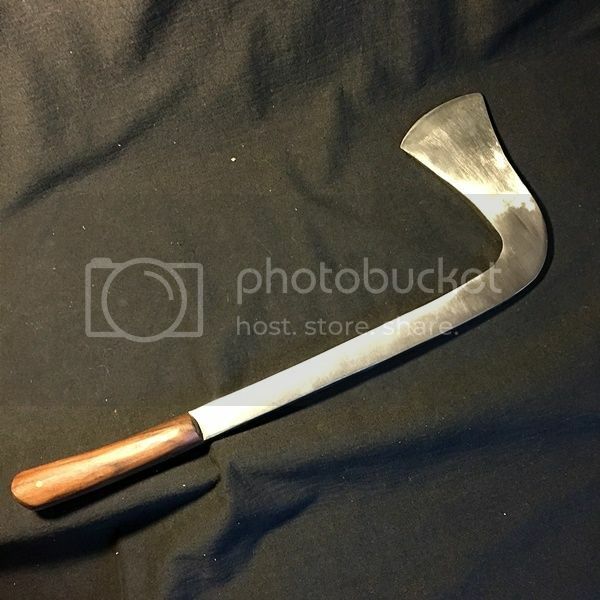 Well done, how is the handling / usage going compared to a machete or tomahawk ? For me it is a bit heavy. Being all steel, it weighs more than a hawk or a machete. I have used it very little but it will chop just fine. I really need to put a better edge on it. 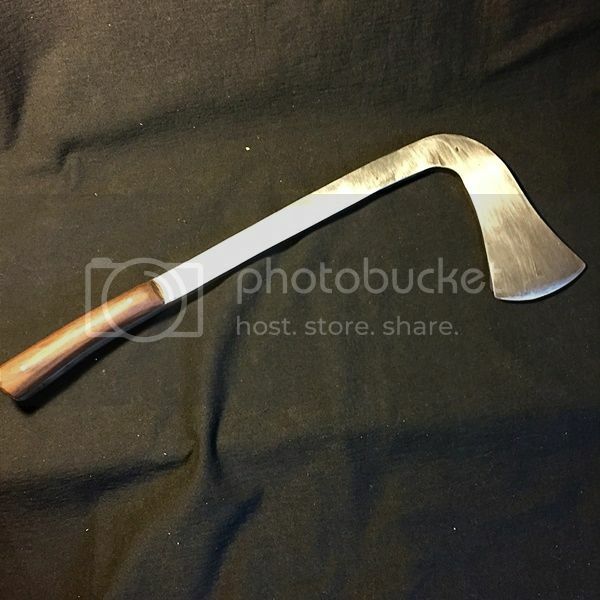 Or I might just leave it as is and call it an Orc Cleaver and sell it to a Zombie Hunter.